Please note: contains strong language and adult content. This is the story of one of the greatest records ever made - Johnny Cash At Folsom Prison - and its shocking and tragic aftermath. Join award-winning journalist Danny Robins on the 50th anniversary of the album as he takes you on a road trip back to 1968, a pivotal year in US history, to investigate the dramatic and unlikely friendship between Johnny Cash, American icon, and Glen Sherley, armed robber and Folsom inmate; and how that friendship was violently torn apart. This five-part series features narration, interviews, and dramatic reconstruction to explore aspects of the story that have, until now, not been widely known. 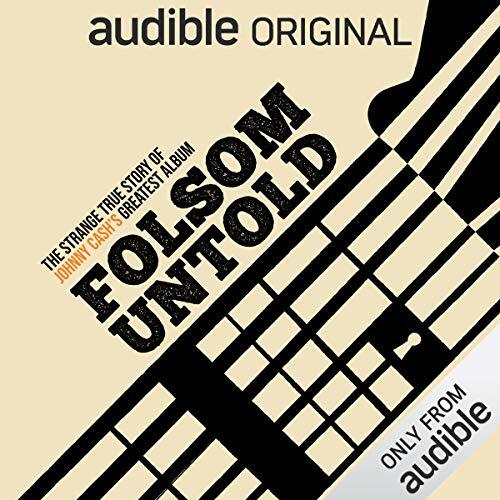 As an Audio Show - free for members - when you add Folsom Untold: The Strange True Story of Johnny Cash's Greatest Album - to your library, you'll get all 5 episodes, each with a runtime of about 30 minutes. ©2018 Audible, Ltd. (P)2018 Audible, Ltd.